Situated in the hometown of Hugo Boss, Outletcity Metzingen offers shoppers an array of discounts at more than 70 international designer brand outlet stores, with luxury brands such as Prada, Adidas, Tommy Hilfiger, Burberry, Armani, Jimmy Choo, Michael Kors, and Nike represented. Original retail prices are discounted as much as 70 percent. Outletcity Metzingen has become one of the most popular factory outlet shopping centers in Europe, with some 4 million visitors each year coming from all corners of the globe. 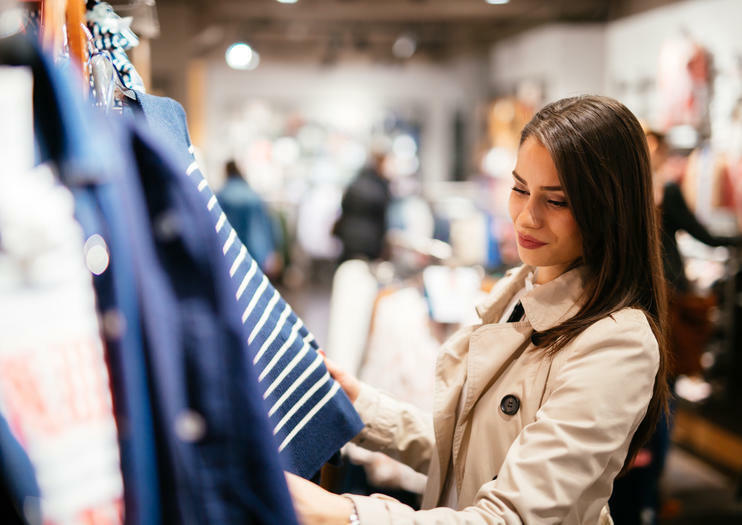 While some prefer to visit independently, there's also an option for a VIP shopping experience with air-conditioned return transportation from Stuttgart and lunch at one of the outlet's restaurants. Visitors from outside the European Union can shop tax-free by filling out a tax refund form at checkout and presenting it to customs at the airport upon departure. This shopping center is a must-visit for budget-minded fashionistas visiting Germany. Outletcity Metzingen offers free WiFi at hotspots throughout the outlet area. If visiting from outside the EU, be sure to fill out a tax-free shopping form when you check out. One of the easiest ways to reach Metzingen from Stuttgart is by train, departing every half hour with a travel time of about 40 minutes. The shopping center also operates a shopping shuttle from Stuttgart to the mall and back on Monday, Thursday, Friday, and Saturday. The nearest commercial airport is in Stuttgart, 16 miles (25 kilometers) away. Outletcity Metzingen is closed on Sundays and public holidays. For the biggest discounts, plan your trip during the special summer and winter sales in June and December. While Metzingen is most famous for its textile industry history and modern outlet shopping, the picturesque town has a few other attractions for visitors needing a break from the retail therapy. The Wine Growing Museum in the Kelternplatz tells the story of the region's winemaking from the 11th century to the present. The town is also surrounded by the Swabian Alb biosphere—an area of meadows, vineyards, and orchards famous throughout Germany. Visit the Fruit Cultivation Museum to learn about the area's long history of apple growing. Shop like a boss (Hugo, that is) on a shopping tour to Outletcity Metzingen, a popular outlet mall located in the hometown of Hugo Boss. Private transportation in a climate-controlled van brings you and your small group of 10 people or fewer straight from Stuttgart to this top shopping destination. Then, spend the rest of the day shopping for brands like Gucci and Prada at up to 70 percent off retail prices, with an optional upgrade to include a seated lunch at an upscale Italian restaurant.